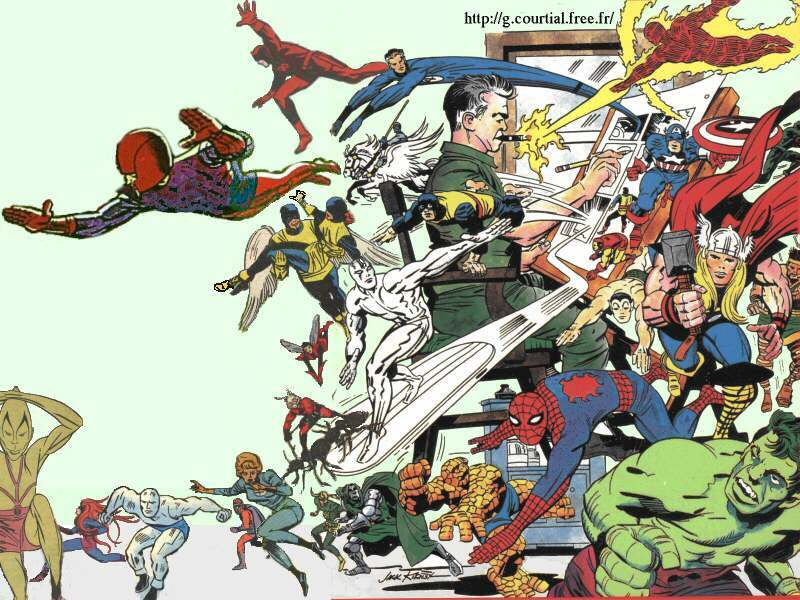 Today is the birthday of the undisputed King of comics Jack Kirby! Jack was born Jacob Kurtzberg on August 28th 1917. He was the creator/co-creator of many of Marvel and DC's greatest comic characters including Captain America, Fantastic Four, the X-Men, the New Gods, Etrigan the Demon and the Hulk. Jack's production drawings for "Lord of Light" was used as a cover for sneaking into Iran by the CIA in the late 70s (a story popularized by the recent Ben Afleck movie "Argo.") One of the greatest comic artists to ever touch pen to paper, Jack often never got his due which is apparent in the fact that the majority of the populace is unaware of his hefty contributions to the creations of recent Marvel movie characters. The Jack Kirby Awards (presented from 1985-1987) and Jack Kirby Hall of Fame were both named in his honor. *To celebrate the birth of The King Hoax Hunters creators Michael Moreci and Steve Seeley are offering their Kirby-influenced Mini comic "The Omega Family" for FREE download today! Use the code 'king' below.